Research Fellow in Random Discrete Structures, member of the Combinatorics, Probability and Algorithms group at the School of Mathematics of the University of Birmingham. 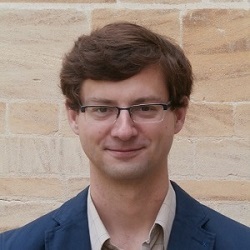 Research interests: Extremal and probabilistic combinatorics, Percolation, Probability, Graph Theory. I received my Ph.D. from the University of Cambridge in 2013, where I worked under the supervision of Prof. Béla Bollobás. And here is my CV.